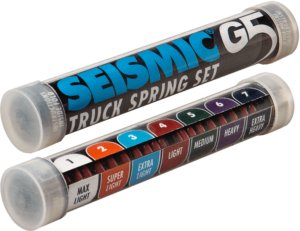 Sold in sets of TWO springs. Available in seven (7) color-coded strengths. Max-Light (lightest) through Extra-Heavy (strongest). Sold in sets of TWO springs (enough for one truck). The G5 spring assemblies feature a breakthrough Spring Cap design that we spared no effort to develop, test, and refine. 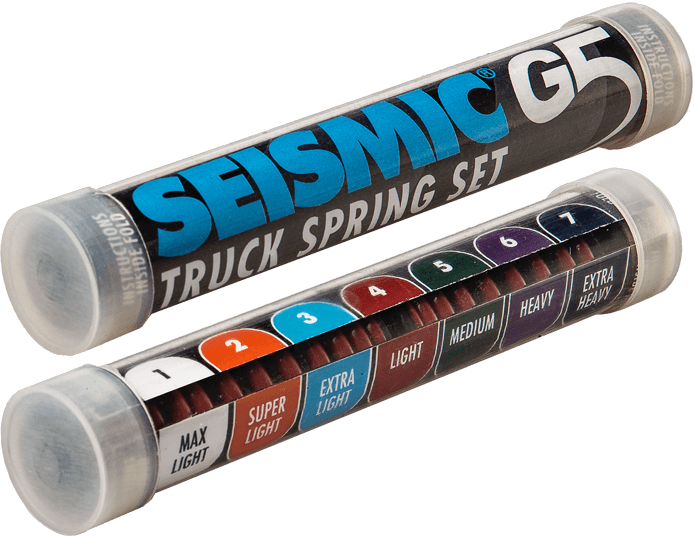 Compared to previous generations of the Seismic spring truck, this keeps the Springs much straighter as they compress – resulting in a larger turning range and enhanced steering control.